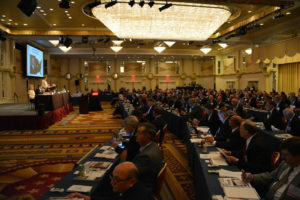 The Fuel Ethanol Workshop and Expo aims to deliver timely presentations with a strong focus on commercial-scale ethanol production – from quality control and yield maximization to regulatory compliance and fiscal management. 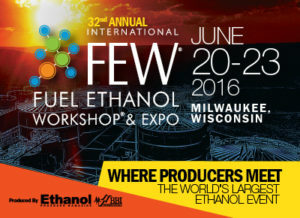 The FEW is also the ethanol industry’s premier forum for unveiling new technologies and research findings. The program extensively covers cellulosic ethanol while remaining committed to optimizing existing grain ethanol operations. The dates of the 2017 Annual Wisconsin Corn/Soy Expo have been set for February 2-3 at the Kahalari in Wisconsin Dells. Head to https://cornsoyexpo.org/ for more info. The dates of the 2019 Annual Wisconsin Corn/Soy Expo have been set for January 31 - February 1 at the Kahalari Resort in Wisconsin Dells. Head to https://cornsoyexpo.org/ for more info. Wisconsin State Capitol, 2 East Main St. The Wisconsin Corn Growers Association will host Corn Day at the Capitol on Tuesday, April 17, 2019. The event is an opportunity for WCGA members to meet with state representatives and talk about the issues affecting farms across Wisconsin. Attendees will meet for a briefing on important issues before walking to the capitol for meetings with various representatives in the State Senate and Assembly. Help us give Wisconsin Corn a voice in our state!